Are you marketing your business on Instagram? Do you need more engagement? Add Instagram photo contests to give your feed a viral boost. It’s no surprise that businesses small and large are increasingly using interactive tools like photo contests on Instagram. Using contests on this massively popular mobile photo-sharing site can get your brand marketed and shared by millions. They’re also an amazing way to get real user-generated content connecting your consumer with your product. In this article, I give you 47 tips to make your next Instagram contest an instant success! To make your contest a success, you need to plan it out. The better you prepare, the better chance your contest will give you the results you need. Hey, it might even exceed your expectations. Here are a few contest planning tips to get you started. 1. Make goals - Like any good marketing campaign, you need to know your goals and objectives. Without them, you won’t be able to measure your results, or your return on investment (ROI) - which means you won’t know how successful you are with your Instagram contest. 2. Define your target market - Think about your customers, and the particular target markets you want to engage with on Instagram. Your contest will be vastly different if you’re marketing to, say, teenage girls in the 13-15 year old range than if you’re marketing to, say, college aged males. 3. Make your budget - Make sure you know your budget - and stick to it! 4. Choose your prize - Try to have some prize ideas to determine what you want to give away. The prize of a contest is what gives people motivation to enter. It’s one of the most important elements to success. Here are more tips on how to use incentives to get Fans and Followers or how to search for interesting prize ideas. 5. Choose the type of contest - There are many kinds of contests you can use to generate consumer interaction. There are sweepstakes, group offers, vote contests, essay contests, video contests, and tons more. On Instagram I’d suggest a photo contest, to get your Instagram fans doing what they love - sharing photos. 6. Make a theme for your contest - If you’ve chosen an Instagram photo contest, for example, choose a topic required for contestants. Keep in mind the market you want to attract, and your goals. With a photo contest, you can gain user-generated content (UGC). For example, if you’re a clothing store, ask contestants to upload their favourite photos of themselves in your fashion items - make it a seasonal theme such as back-to-school. If you are a travel agency, run a photo contest to get dream-worthy photos of people enjoying their most recent vacation. You’ll gain a lot more in-depth contest management tools by use a third party app (well, with Wishpond’s apps you do). It makes it easy to set up, and use on your other social sites, too. There’s even easy email and customer management tools. 8. Determine your Instagram contest time frame - Before you start your contest, plan out how long you’ll run it for. If you’re offering a big grand prize, you’ll want to run it for a longer time, so that you can promote it a lot, and get it to spread through entrants’ social networks. I’ve seen a lot of successful contests with short time frames, such as a week. This encourages fast action - which is particularly key for a younger demographic. 9. Determine the frequency of your contests - If you’re doing week long contests, run them every week. This will build momentum for you, as the contest spreads through “online word-of-mouth” via your contestants social networks. If you’re giving something away every week, you’ll build a habit in your consumers. 10. Determine rules and guidelines - Yup, you need to get all your rules and regulations sorted out. For example, if you’re looking to use the UGC later you need to make sure you’ve got the proper legalize for it. 11. Decide on your entry method - Decide how your contestants will enter your Instagram contest. Can they enter only via Instagram? Will you allow them to enter through Facebook, too - or Twitter, your website, and so on? Do they need to use a specific hashtag to enter? 12. Sort out your tools for measuring success - Get your analytics tools set up prior to the start of your promotion. This gives you a baseline to measure your achievements. Instagram doesn’t have built in analytic features, so you’ll need to set up third party monitoring of your KPI’s (key performance indicators). For example, set up a Google analytics campaign, use Facebook Insights (if you’re running in conjunction with Facebook), or use a third party contest app that has in depth analytics - oh yeah, like Wishpond. Ok, now that you’ve got your proverbial ducks in order, and you’ve got the foundation set for your marketing campaign - it’s time to build your Instagram contest. 13. Use an app - Ok, I’m biased, but I would use a contest app to build your Instagram contest. Why? It makes it so much easier to manage. It takes about five minutes to set up a contest, and you get real-time analytics, customer management tools, and even the option to run Instagram contests through other social sites like Facebook, Twitter or your website. It’s your choice of course. Try with and without an app, and see which you prefer. 14. Make a campaign specific hashtag - Create a hashtag for your promotional campaign. Hashtags are super important on Instagram - it’s an amazing way to connect with any Instagrammer. Using a unique tag for your campaign, you make a community for your entrants and everyone who enters can see the other photos directly on their mobile Instagram search. Double check the usage of your campaign tag. If it’s a common one, choose to use something different and unique to your campaign. For example, use your business name with ‘contest’ , or your contest theme (i.e. #wishpondcontest or #summerphotoswishpond). 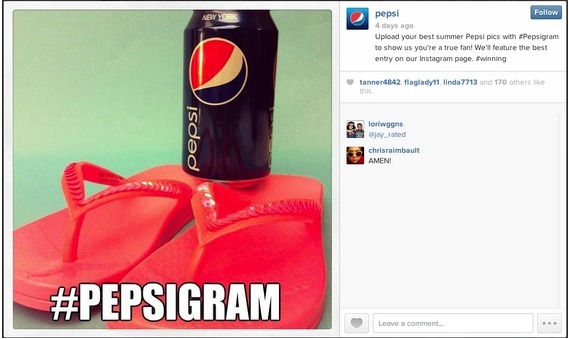 Here’s how Pepsi uses a unique, simple and witty hashtag for their Instagram photo contest. 15. Write an attention grabbing title - Make a title for your contest that grabs people’s interest. Include the prize you’re giving, your company name, and your contest theme. Keep it short and witty - as best you can. 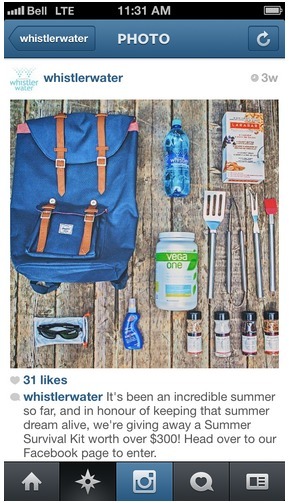 Here’s how Whistler Water shows their prize for entering a recent Instagram contest. Their prize includes their products, and is in keeping with their healthy brand image. 17. Include details about your contest rules - Make sure you include the details of your contest, such as when it starts and ends, what the photo theme is, and the mandatory use of your campaign hashtag. If you have more legal stuff you need to include - make sure you do! 18. Include details about how a winner will be chosen - Are you choosing your winners randomly, through a panel a judges, or through a vote? A vote element adds virality to your contest, as entrants will spread the word to get their friends to vote for them! 19. Include rules about UGC - Yes, this is more about rules and legalese stuff. But if you want to get user-generated content to use later for promotional purposes - be upfront about it, and make sure you get entrants’ permission. 20. Tell how contestants can enter - Include information about how people can enter your contest. Some apps (like Wishpond Instagram contest apps) let your contestants enter through Instagram only, through other social sites (such as Twitter or Facebook), through computer, through email and more. You can choose how to limit or expand the ease of entry. For example, you can make it exclusively available to Instagram users, or you can open it up to others too. Make it easy and clear to your market how to enter. A straightforward Call to Action (CTA) will increase the number of entrants you get. You’ve planned your Instagram contest, you’ve built it - now you need to market it, because well, just because you’ve built it, the reality is, your market may not come. Here’s few tips to spread the word to your targeted consumers. 21. Use email - Yes,good old email marketing. It still works. Use personalized, segmented emails to reach your target and get them to engage with you on Instagram. Create subject lines with clear and enticing Call to Actions. Include your prize, your company name, and how to enter. Make the body of your email easy to read, include visuals of your prize, your photo theme, and easy to click CTA’s. 22. Cross promote on social sites - Post invitations to take part in your contest through your Facebook Page, Twitter, Pinterest, and any other social sites you have. Highlight your update on Facebook. Include your hashtag in your Twitter and Pinterest postings. 23. Post an article on your blog - Write an article about your contest, with direct links to your Instagramand specifically to your contest. Again, include visuals about your prize and your photo theme. Make easy, clickable CTA’s. 24. Guest blog to promote your contest - If you have the chance to write guest blogs on industry related sites, do so. You don’t want to make your posts sound like spam, though. Only use this opportunity if you’ve established your presence on those blogs, or if it fits with the blog posts they publish. 25. Use earned media through a press release about your contest - A lot of businesses miss this opportunity to go through the more traditional media method. If you’re a locally based business, try writing a short press release and send it to your local paper. You never know - it could get your profile raised, get you more contestants, and get more neighbourhood traffic through your door. 26. Use Google ads - Use targeted ads through Google to reach your market. Geo-target your ads if you are a geographically based (not an online store), make sure your ads are seen on mobile, and A/B test different ad copy. 27. Use Facebook ads - If you’re hosting your Instagram contest on Facebook, or even if you update a post about it, use Facebook ads to reach your Fans and beyond. You could use Promoted Posts, or other ads to spread the word on this very social social network. 28. Use Twitter ads - Use Twitter ads to reach your mobile market. Use your post about your contest to make sponsored posts, and reach your demographic beyond just your Followers. 30. Put QR codes on your printed promotions - Use QR codes that link directly to your Instagram contest. Print them out on your in-store promotional pieces, and any other print marketing you do. Entrants can simply scan the code with their phones, and get to your contest to enter. 31. Include the contest details in your e-letter - Do you send out regular e-letters to your customers? Be sure to include a piece about your contest. And include visuals and clear, clickable CTA’s. 32. List your contest on contest sites - There are many sites specifically for contests. Here are 19 popular contesting websites on which you can list your contest. Once you’ve got your contest up, and promoted, keep track of your successes, and tweak your tactics to improve your results. 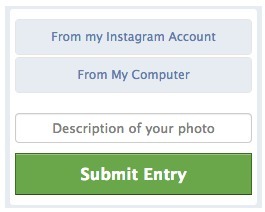 Here’s a few tips to monitor your Instagram contest. 33. Use Google Alerts - Monitor your company and campaign hashtag mentions by setting up Google Alerts. 34. Use Google Analytics - If you’re running Google ads, make sure you monitor their results, and tweak the ads as needed. Try rewording your copy, or changing your targets. 35. Use Facebook Insights - Monitor Facebook updates about your contest through Facebook Insights, and monitor the results of any Facebook ads you run. 36. Use Twitter analytics - Monitor your tweets about your contest, and any ads you’re running on the platform. 37. Use third party app analytics - Here’s another massive benefit to using a third party contest app. Use the application’s analytics to easily monitor your contest. Wishpond’s Social Marketing Suite, for example, gives you comprehensive real time analytics to monitor your entrants, collect emails, view potential reach and more. 38. Tweak your marketing campaigns - Based on your real time results, tweak your ads and other promotional methods. For example, send out a second email blast to market your contest, and measure the results. 39. Tweak your contest - If you need to get better contest results, add better keywords to describe your Instagram contest, or update it with better visuals of your prize. When your Instagram contest has finished, your work has not ended. Now is the perfect time to keep connected with your participants to further develop your relationship and gain more potential customers. Here’s a few ways to follow-up after your contest is done. 40. Choose a winner, and notify them - Once your Instagram contest has ended, choose your winner or winners. This could be done through public voting, random draws, or a panel of judges. Let your winner know they have won, and send them info on how to collect their prize. Notify them directly through Instagram. 41. Promote your winners’ photo on Instagram - Give your winner a bit of fame. Promote their photo by reposting it to your company Instagram. 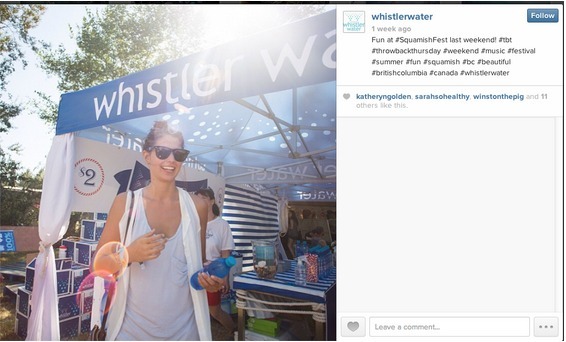 Here’s an example from Whistler Water, using customer photos on their Instagram feed. 42. 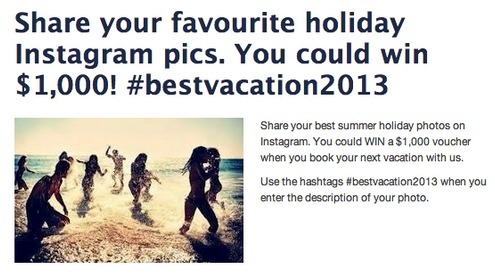 Promote the winning photo on your website - Instagram now lets you embed Instagram photos onto your website. Use this feature to showcase your winner(s) and runners up too! Write a short article about how the winners won, and to promote your next Instagram photo contest. 43. Promote your winners on Facebook - Facebook and Instagram have a seamless integration. Post your winners Instagram photos to Facebook to further value your winners, and promote your next contest to your Facebook Fans. 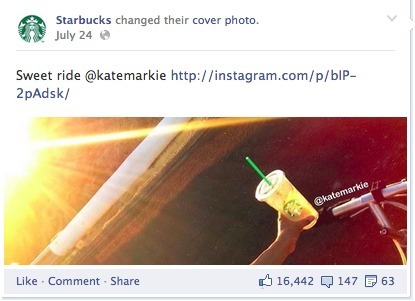 Starbucks does an amazing job at promoting their Instagram fans on their Facebook Page. They choose their favourite customer Instagram images and use the photos as their Facebook cover. They always give a shout out to the Instagrammer. 44. Promote your winners on Twitter - Tweet to winners, and give them a shout out. Showcase their photos in a few of your tweets. 45. Promote your winning photos on Pinterest - Pin your winners’ photos on your Contest Board on Pinterest. 46. Email all participants - Send a follow-up email to all of your participants. Thank them for taking part, and even give them a small discount to your store. Keep the connection between your business and your potential customers. Be sure to invite them to your next contest, and keep the momentum going. 47. Run Instagram contests regularly - Repeat your contests, tweaking as you go. Run your contests every week on Instagram. This builds habits in your consumers, and momentum for your contests. So, there you have it - 47 steps to making your next Instagram contest a success. Give them a try. See how far adding Instagram to your social media marketing can take your business! What do you think? Have you run a contest on Instagram? What were your results? What tips do you have? P.S. Wishpond's Facebook Contest Apps make it easy to create sweepstakes, photo contests, Instagram hashtag contests & more.